Congratulations to our students at Ivy Coach who earned admission to Harvard this Early Action cycle! It was no ordinary Early Action admissions cycle for Harvard this year — not when the university found itself defending its admissions practices in federal court. Heck, Harvard’s longtime admissions czar, William Fitzsimmons, had to testify in the school’s defense. 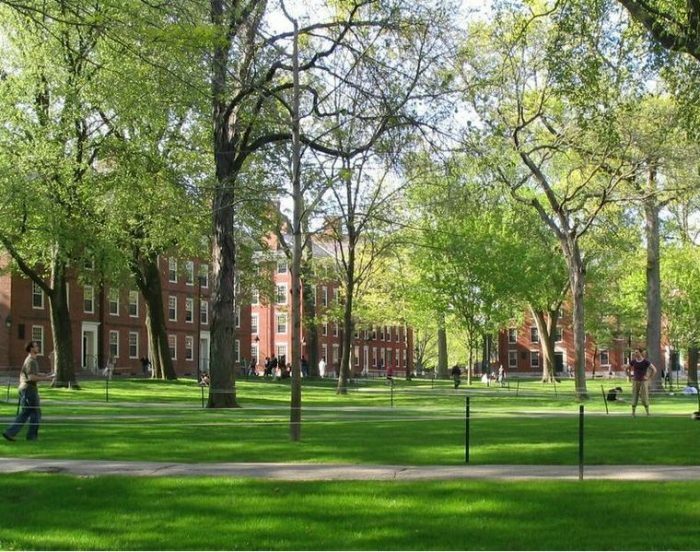 As our regular readers and all those folks not living under rocks know all too well, Harvard defended itself this fall against accusations of discriminating against Asian American applicants in its admissions practices. But all that aside, how did the Early Action admissions cycle go this fall? In all, 6,958 students applied Early Action to Harvard in the hope of earning a spot in the Harvard University Class of 2023. Of these applicants, 935 earned admission. This marks an Early Action admit rate of 13.4% for the Class of 2023. And how do these figures stack up against last year? 6,630 students applied for Early Action admission to Harvard’s Class of 2022. Of these students, 964 got in for a 14.5% admit rate. Harvard’s numbers this fall also don’t just stack up favorably against last year’s figures. The school has never received as many Early Action applications as it did this cycle; the Early Action admit rate was also the lowest since the school reinstated Early Action admissions in 2007. Heck, it was the lowest in the school’s history. With a spotlight being shined bright on allegations that Harvard’s admissions office discriminates against Asian American applicants, 26.1% of admits this Early Action cycle were Asian American. And how does this figure compare to last year? It stood at 24.2% last year. Fitzsimmons, of course, couldn’t acknowledge that the increased scrutiny led to increased acceptances for Asian American applicants. Rather, he attributed the increase to a corresponding increase in the number of Asian American applicants. African American admits comprise 12% of Early Action admits to the Class of 2023, compared to 13.9% for the Class of 2022. Latinx admits comprise 10% of Early Action admits to this year’s class — on par with last year. A big congratulations to all of our students at Ivy Coach who earned admission to Harvard this Early Action cycle! We’re so proud of you!